Eco-friendly Products and Practices | Welcome to SVENA! Please find a lot of resources at NCAP (Northwest Center for Alternative for Pesticides). For those of you who might like a less toxic approach for dealing with weeds around your homes, we offer this recipe for an alternative to toxic products such as Roundup. Here is a recipe for a vinegar-based homemade herbicide. It works well on foliage, but does not kill all the roots, so things will re-sprout, but they often do, even when sprayed with toxic herbicides. 1/4 cup Dawn liquid dish soap(the glycerin in the Dawn brand makes it work well. Other brands could work, too). Mix above ingredients in a spray bottle. Spray weeds thoroughly. The Dawn dish soap strips the weed of its protective oils and helps the product stick to the plant, so the vinegar can work with deadly force. Safe for use in yards used by children and pets!! Be careful where you apply it, as it will kill non-targeted plants, as well. It works best, if applied on a warm, dry day. Flame-weeding is another way to kill weeds. It is often done with a propane-powered torch that is made for that purpose. It works best in areas removed from flammable materials (such as sidewalk or driveway cracks, gravel walkways, etc). Use torching or flame-weeding with caution in dry season and around any flammable materials. PLEASE SHARE: Send a message to DNR Northwest Region for them to end toxic pesticide spraying on public forestlands in the Skykomish River Valley by filling a short 1-minute form HERE. 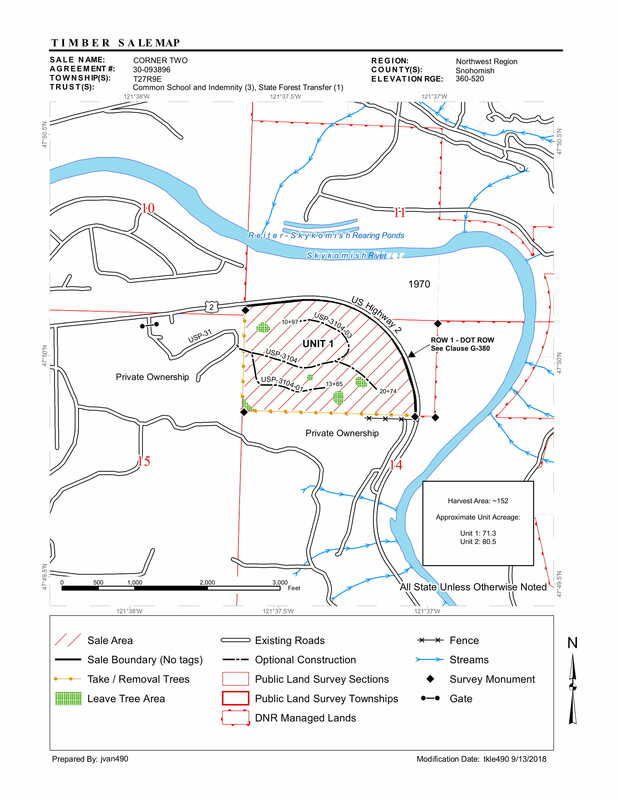 On November 14, 2018 DNR auctioned CORNER TWO TIMBER SALE and sold it to Sierra Pacific Industries (SPI).Unit 1 of this timber sale is a naturally regenerated forest next to busy Hwy 2, a part of the Cascade Loop with over 5 million cars on it annually. This timber sale is on the county land. Unit 1 has a big potential to become a busy county park. Full Map, Unit 1 Map, FPA# 2816522, Timber Notice of Sale. Please check FPAs (Forest Practice Applications) for Skykomish River Valley, that came out recently in the review system.